A galaxy far, far away is now at your breakfast table with Kellogg's® Eggo® Star Wars Galaxy Adventure Buttermilk Pancakes, featuring six different Star Wars designs! 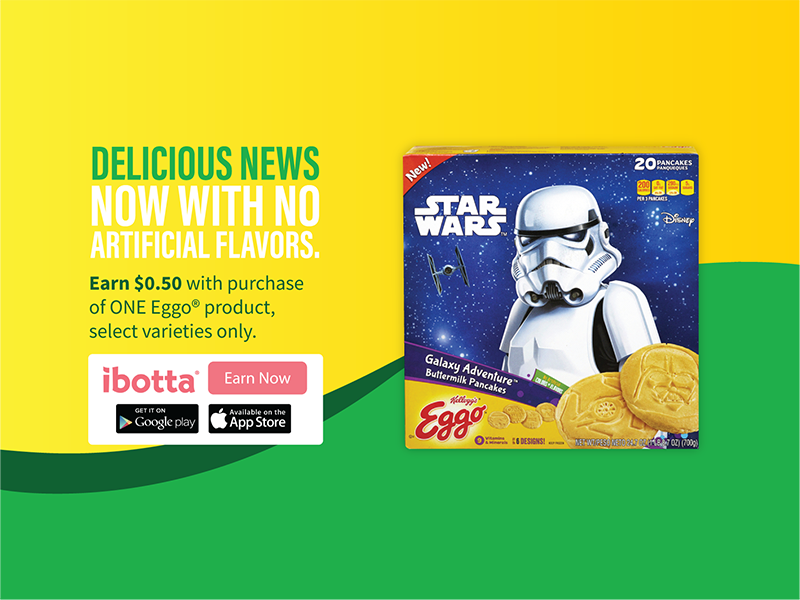 While supplies last, enjoy extra savings during the holiday season by earning $0.50 cash back on Ibotta with the purchase of ONE (1) Eggo® product (select varieties only) at Walmart! Such a fun eggo for star wars fans! Im not really into it but IM sure these are super popular! My brother and I would have loved a Star Wars themed breakfast when we were kids. Eggos were always a special treat and this makes them even more fun. I'm an Eggo fan AND Star Wars fan. You bet I'll be looking for these! Oh cute. Eggos are always a welcome breakfast for us. These Star Wars ones should be fun. My brother is totally into Star Wars. I should totally pick him up a box of Kellogg's® Eggo® Star Wars Galaxy Adventure Buttermilk Pancakes to give him for Christmas! Oh no, all the photos show the Empire. I hope they have Rebels on some of them - they're the real heroes! Ibotta is a great app. I enjoying seeing the savings add up. The kiddo would enjoy the eggos, as well. These are so much fun! I have some tiny family members who would love these!